Another card of ranunculus images. The “have a beautiful day” sentiment came in the You’re So Lovely Hero Arts stamp set, and is a nice option to have in my collection. Supplies: Stamps – Hero Arts, paper – Neenah Classic Crest Solar White, Stampin’ Up! 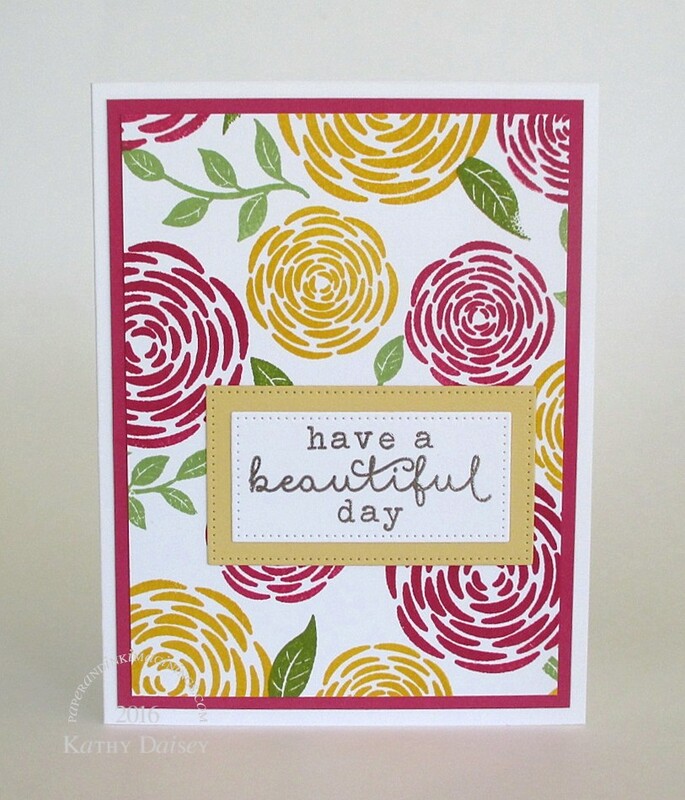 Rose Red, So Saffron, inks – Stampin’ Up! Crushed Curry, Old Olive, Pear Pizzazz, Rose Red, VersaFine Smokey Gray, dies – My Favorite Things (pierced rectangles), embossing powder – Stampendous Gold Detail. Categories: card, encouragement | Tags: card, Hero Arts, My Favorite Things, Neenah, Stampendous, Stampin' Up!, Tsukineko, VersaFine | Permalink. I really like this. Can I have it? Will you please email the status of my acct. I think I’m running low. Happy Easter if you celebrate.